“One of the most startling cultural oversights in this country is the myth that medicine only comes from outside ourselves. Welcome to Three Treasures Tai Chi. Although people come for many different reasons, we are very glad you have joined us here today. On our site you can learn about the philosophy of Tai Chi and how it's practice has affected countless people spiritually, mentally, emotionally, physically and socially. You will find many tools on the RESOURCES page, as well as insightful and informative, action-oriented teachings in ARTICLES. You can also access our schedule of classes and workshops, and meet the instructors of Three Treasures Tai Chi, each endowed with unique training in healthcare professions, skilled in supplemental arts such as Healing Touch, Neuro Linguistic Programming, Guided Meditation and Enneagram, and jointly passionate to bring the healing powers of Tai Chi and Qigong to all the members of their community. We hope you will explore the site and look forward to walking with you on your journey. Right here right now is a great place to start. 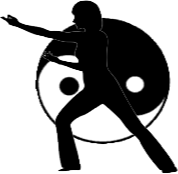 Please explore some of the wondrous benefits of Tai Chi*.